« How Boyish or Girlish Are You? My miniature katana came in the mail today. It’s a little smaller than I expected. The stand and Tsuka (handle) are plastic, I was hoping for wood. 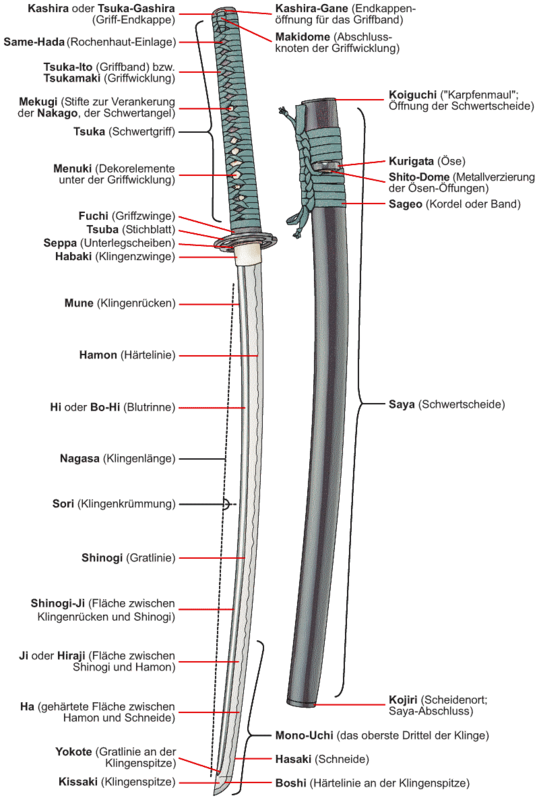 The Saya (scabbard/sheath) is made of wood. And of course, the blade (Nagasa?) is metal. I’m happy with it. And can’t wait to get a real one! This entry was posted on November 1, 2005 at 8:43 pm and is filed under General. You can follow any responses to this entry through the RSS 2.0 feed. You can skip to the end and leave a response. Pinging is currently not allowed. Go get one of the $30 ones at the flea market or chinatown. This way you can have a cheap one (mass produced) that you can get the playing with it out of your system before you buy a real one.